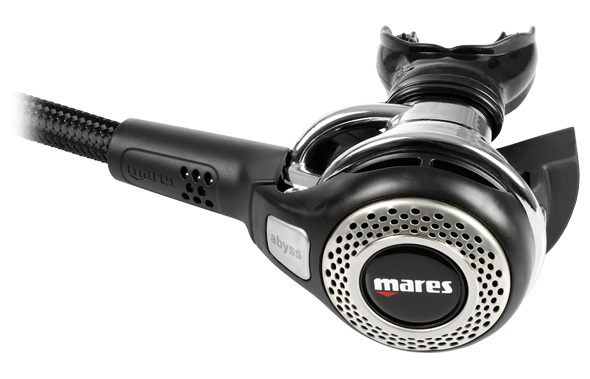 lasting and ideal for cold water dives. The high thermal conductivity of metal reduces the dry mouth feeling during the dive. Patented technology combines two grades of polyurethane on a brass core. Maximizes performance, safety and reliability. The air bypass tube conveys air to the mouthpiece creating a swirling vortex with a low pressure area in the center that keeps the diaphragm down during inhalation, for very sensitive and easy breathing at all depths.